Clearly the Winner of Sig Contest! 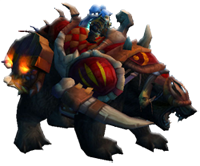 It is Winter Veil, Azeroth! Come, raise your glass! A new year is coming, the old one will pass! For the Earthmother loves you, and so does the Light! The Feast of Winter Veil has once again come to Azeroth! In addition to the quests and fun that were available last year, there are all-new activities and goodies for you to enjoy! So come, embrace the holiday spirit with your fellow adventurers through late December! I will be asking people to gather up this weekend - most likely Sunday. Everyone should finish up the snowman quest chain. We will take another group photo at Winterspring. Talking about gold... 2,500G!!! A Dragonmaw History! A moment in history... I believe this is the highest that an Epic item has ever sold on Dragonmaw to date! 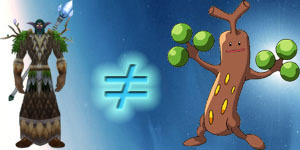 This is perhaps the best Bind on Equip Epic in WoW. However as a guild capable of farming Molten Core, this item is inferior. 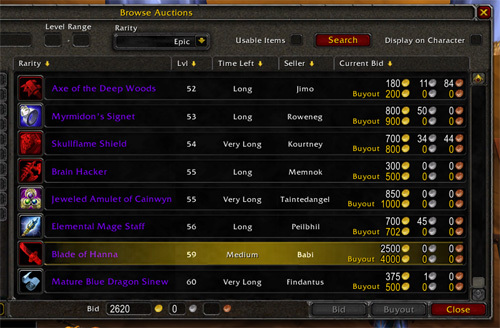 So we tried our luck at auction house. Just for the record, someone from Sovereign bid 1,256G right away, apparently that was all he had. It seemed a little too low for a lv 59 Epic Paladin Sword. 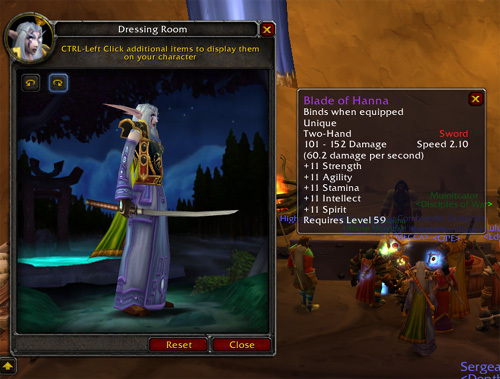 The Blade of Hanna (as shown below) dropped for the Sunday, December 11, 2005 raid off a Molten Destroyer!